I just love Elaine's Old School Blogging meme/link-up. It's all about the community of bloggers, supporting each other, getting to know each other better, pimpin' each other out.....you know, spreading some bloggy love. This month Elaine and co-host Tracy want us to try to narrow our most likely super long list of fave bloggers down to five. Just FIVE. 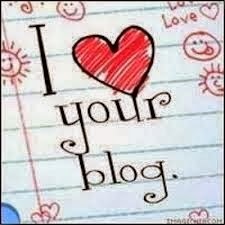 I have come across hundreds of blogs in my 3 1/2 years in the blogosphere. And I follow or like hundreds on Twitter and Facebook. How am I supposed to choose? I think I'll follow our hostess' lead and pick five of my more recent finds and/or that I seem to be going back to a lot lately. Oh and I will double dip a bit, and count them as things I am thankful for this week. I can do that, right? 1. Considerings - written by Lizzi who is a Brit and I read everything she writes with the accent! 2. Here's the Thing... - written by Kenya who I think is super cool for quoting herself and including a pinnable image of the quote in nearly every post. 3. The Family Pants - written by Colleen, aka Mama Pants, who has a fantastic About page. 4. Unintentionally Brilliant - written by "Roxanne: the sweetest and most confusing girl ever." 5. What Now and Why - written by Arnebya (which I don't know how to pronounce) who wrote this really provocative post. 6. I got to see Gravity. It's really good. Sandra Bullock made me cry. I highly recommend. My dad says you can skip 3D, that it wasn't that great. 7. I love that I married someone who loves listening to music and is hopefully passing that down to our kids, just like my dad did with me. It also makes our home feel fun and lively. Unless it's AC/DC, in which case I whine and complain until Mark changes it. 8. I now have three shows to watch with my kids: Once Upon a Time, Once Upon a Time in Wonderland and Agents of S.H.E.I.L.D. Mark joins us for Agents. So fun! 9. I have found free clip art, chosen the fonts I like and have been happily making new images to go with my new blog name. Coming soon! 10. A Costco coupon for $6.50 off Tide just when we needed more. Love it when that happens!